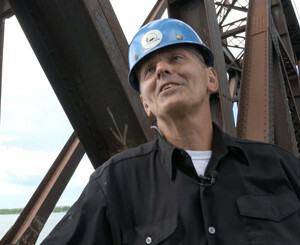 Using a mixture of dramatic HD “high steel” footage, on the job and home-life reality shooting and archival material, each half hour episode presents a fascinating visual and moving story of the ironworkers and their families – as they face the realities of one of the most dangerous jobs on the planet. This single-player game for PC puts you in the role of a Mohawk Ironworker. You are tasked with building one of the most iconic buildings in history, the Empire State Building, and Montreal’s infamous Mercier Bridge. Follow the foreman’s orders and avoid flying birds, hot rivets and whirlnados. 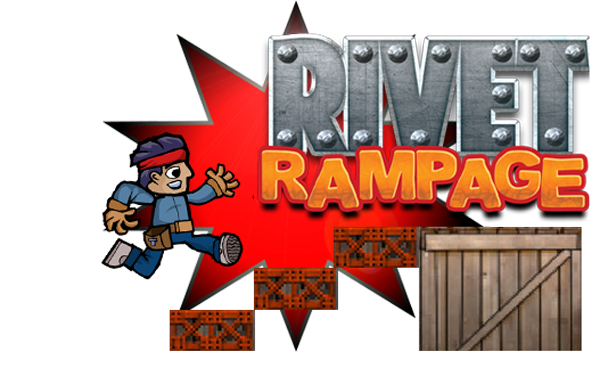 Each building site contains multiple levels where you take on real-life ironworker tasks like climbing structures, erecting platforms and finding tools. Explore each worksite for more points and hidden Mohawk Ironworker virtual trading cards. The NYC World Trade Center is ingrained in Mohawk ironwork history. 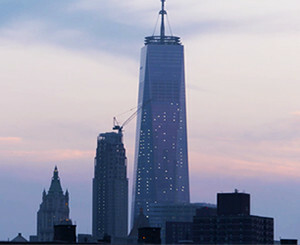 Mohawks helped build the iconic Twin Towers. Peter J. Stacey, Randy Horne and Bill Sears reflect back on their life-changing work on the Towers, and the devastation of 9/11. John McGowan and Preston Horn are a new generation of ironworkers rebuilding the site with One World and Three World Trade Centers. When the NYC Twin Towers were destroyed on 9/11, Mohawk ironworkers helped clear the wreckage of the iconic Towers their fathers built. But no one was prepared for the health risks of the Ground Zero cleanup. 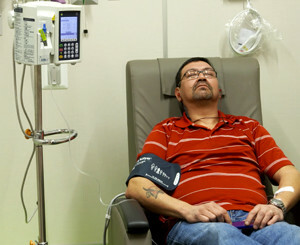 The cleanup cost Jaysen Mayo his health and career, and Brad Bonaparte, his life. 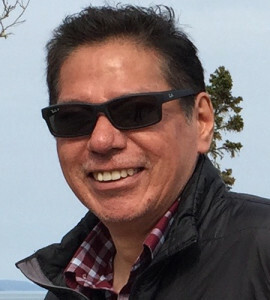 After 9/11, Mohawks, like John McGowan, continue to honour their relationship with the World Trade Center by building One World Trade Center, the tallest building in the Western Hemisphere. 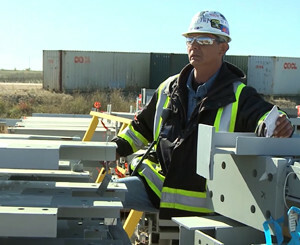 The Akwesasne Ironworkers Festival is a chance for ironworkers across North America to showcase their skills and hopefully win the “Ultimate Ironworker” award. It is also a time to honour outstanding ironworkers of the past and present. Mike Swamp guides a tour through the festival and its competitions that recreate tasks done throughout history by ironworkers on the job. Legend has it that ironwork is in the blood of Mohawks, something that is passed down from generation to generation. Today, aspiring ironworkers must go off to school and get certified through a rigorous training process. Kahnawake Mohawks travel to Montreal for the only English-language apprenticeship program in the area. 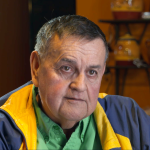 Akwesasne has a training program right in the community, run under the watchful eye of veteran ironworker William Cook. Kahnawake’s own Albert Stalk began as most ironworkers do, by picking up the trade from his father, but he would soon become world renowned for his daring feats. He earned the nickname “Eiffel Al” for being the first person to ever climb Paris’ Eiffel Tower without safety gear. A modeling career, an ill-fated commercial for running shoes, and an iconic game show appearance followed the stunt. New York City became the most popular area to “boom out” for Mohawk Ironworkers in the 1920s, where they helped build the skyline and some of the most famous structures in history. Learn about “Little Caughnawaga,” the name given to Brooklyn, a second home to Mohawk ironworkers still to this day. Thomas Jock II and Gordie King make the weekly trip to NYC together to provide for their families back home. The Hill Brothers, Mike, Gary and Rodney, have over 80 years of ironworking experience between them. Family is key in the ironwork business, with the brothers following in their father’s footsteps, and their families supporting them every day on the job, and off. 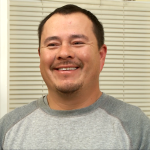 After facing a career ending injury, Rodney spends his days recovering, with the help of his brothers. 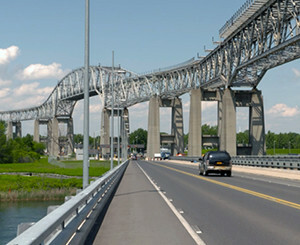 The Seaway International Bridge, a US-Canada border crossing connecting Akwesasne to Cornwall was maintained by Mohawks, and is now being dismantled by Mohawks. The crew mourns the loss of their superintendent, and legendary ironworker, Angus Adams who passed away suddenly during the job. But Angus’ legacy remains an inspiration to all who knew him. 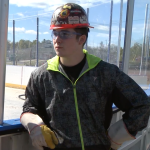 High winds and strong river currents create some dangerous and unexpected challenges for the ironworkers. Ironwork is one of the most dangerous and physically demanding jobs in the world, so the health and safety of the workers are paramount to the job’s success. 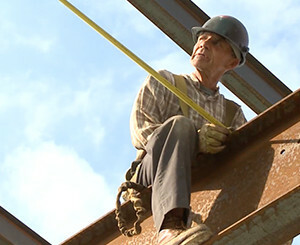 Hayden Hemlock, an ironworker for over 40 years, retired after facing an injury. Now, Hayden spends his days healing his body, as well as the world around him, using traditional Mohawk teachings and medicines. 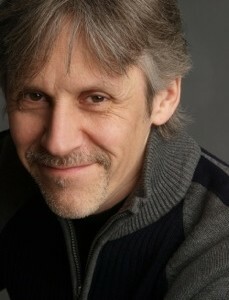 Foreman Geggs Martin left behind the ironworker “work hard, play hard” lifestyle for smoothies, marathons and his family. 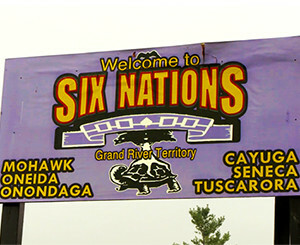 Six Nations of the Grand River is the largest First Nations reserve in Canada, so it is home to a lot of ironworkers, and ironworking lore. Historian Rick Hill recounts the history of Mohawk ironworkers, from the construction of longhouses, to the “boom out” to New York City. Today, two generations of ironworkers work together to build the future. Marshall Cayuga works alongside his sons, and Gerry Burning mentors trainees to be the ironworkers of the future. Leaving home to follow the work has long been an ironwork tradition known as “booming out.” A team of Mohawks booms out thousands of miles away from home, to a Saskatchewan potash mine where they construct rigs rivaling the size of major skyscrapers. The paydays for the job are great, but the cost of working so far from their families may be even greater. John Squires has been in the business for over 40 years as a connector, and there are no signs of stopping him any time soon. 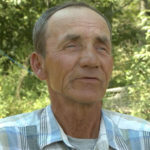 As a veteran ironworker, John is indispensable on a job site, offering his years of wisdom to the next generation. 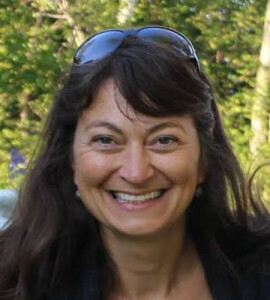 Female Mohawk ironworkers are shattering stereotypes that the trade is solely a “man’s job.” Tiffany Johnson is ready to prove she isn’t afraid of heights or some heavy lifting on her first day of the Akwesasne apprenticeship-training program. 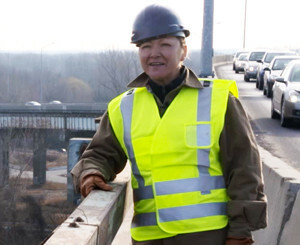 Retired ironworker Janice Albany reflects on her days of overseeing an all-women painting gang on the Mercier Bridge. 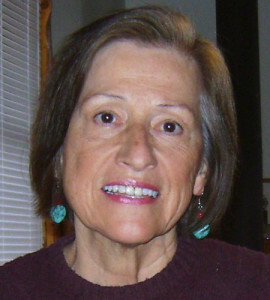 And Lu Ann Styres from Six Nations is determined to hold the title of being the oldest female ironworker. 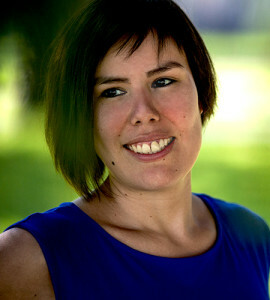 Mushkeg Productions Inc. is an Indigenous production company specializing in films and videos about the Indigenous experience, films that deal with contemporary issues facing Canada’s First Nations, their environment, activities, traditions and their struggle for economic and political autonomy. 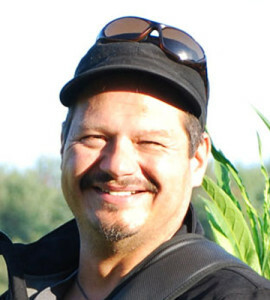 The company is headed by Paul M. Rickard, independent Cree filmmaker and cameraman. 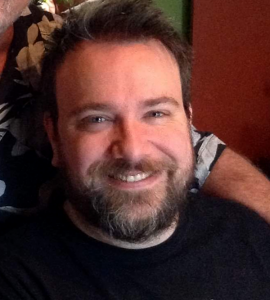 Paul’s partner is veteran producer and director George Hargrave. 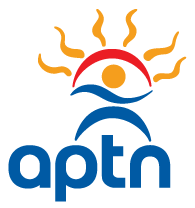 Mohawk Ironworkers is their fourth series for APTN.